Our Red Meadows Freesia Bouquet is sure to create a favourable impression on any occasion, whether it's for a birthday gift, anniversary, or any other special day. Featuring 40 stems of pretty red freesia flowers, this eye-catching bouquet has been carefully hand-tied by our team of expert florists. 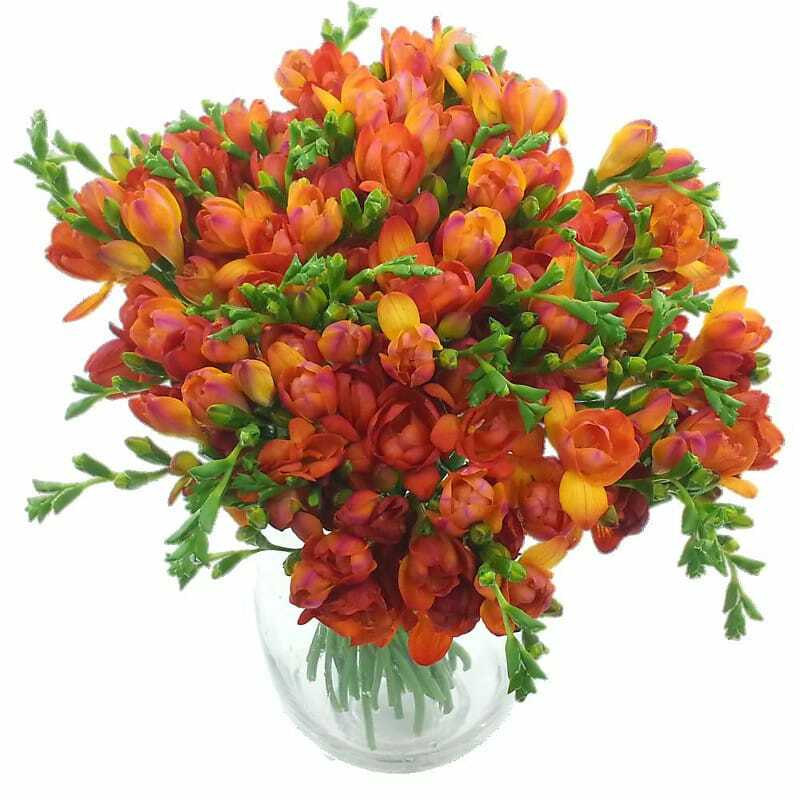 Freesia are known for their alluring odour which will immediately greet you upon entering any room in which these flowers are placed. This sweet and vibrant luxury flower bouquet is available for express delivery and will be delivered next working day as standard. The Red Meadows Freesia Bouquet comes packaged in our signature flower delivery box to ensure they reach you in utterly immaculate condition. There is also the option to include a stylish glass vase, premium Thornton's chocolates and a handwritten card for that extra-special personal touch!